We want you to feel good about dinnertime. Our guests enjoy the convenience of experiencing meals, without compromising on quality. Our professional chefs are dedicated, creative individuals who create exceptional food to satisfy varied tastes. Some people do not like creamy soups and this recipe is the one for them. Vegetable clear soup is much tastier than it sounds! 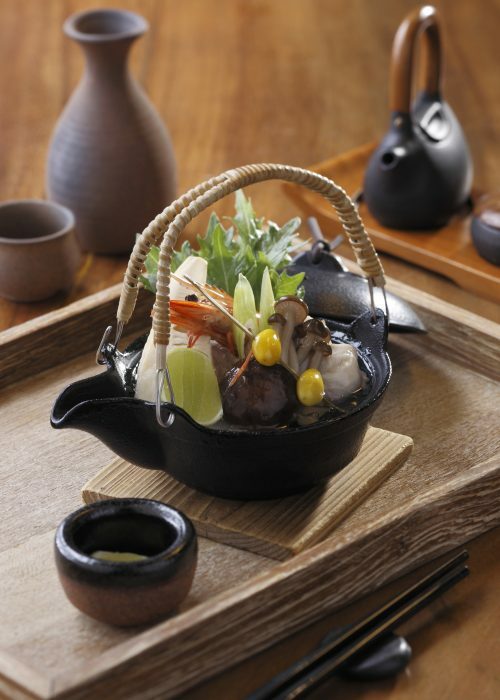 Enjoy our Steamed Clear Soup with Seafood and Mushrooms in Japanese Iron Pot today! To receive updates from Yoshi Izakaya about exclusive dining experiences, events and more, please enter your details below.